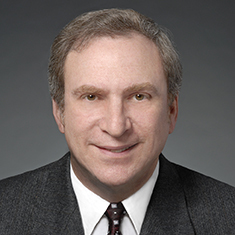 Sheldon I. Banoff concentrates in federal income taxation with particular focus in investment, real estate, partnership and limited liability company taxation matters. He has represented major real estate developers, syndicators, lenders and investors, including taxable and tax-exempt investors and law, accounting and other professional services firms. Shelly is also a nationally known author and lecturer. He has been editor of the Journal of Taxation’s monthly "Shop Talk" column since 1985, and has also written more than 200 leading articles in the tax area. He lectured at The University of Chicago Law School, where he taught an Advanced Seminar on Real Estate Transactions with emphasis on choice of form of entity, fiduciary duties, economic analysis of investments and taxation matters. He also serves on the Law School's Annual Tax Conference Planning Committee. Shelly is a frequent speaker on partnership, limited liability company and tax planning matters as well as on taxation. At the request of the Committee on Ways and Means of the US House of Representatives, he testified on partnerships and other pass-through entities. Shown below is a selection of Sheldon’s engagements. Author, Illinois Limited Liability Company Forms and Practice Manual, Data Trace Legal Publishing Inc.